Motivated by discrete flavour symmetry models, we analyse Spontaneous CP Violation (SCPV) for potentials involving three or six Higgs fields (both electroweak doublets and singlets) which fall into irreducible triplet representations of discrete symmetries belonging to the Δ(3n2) and Δ(6n2) series, including A4, S4, Δ(27) and Δ(54). For each case, we give the potential and find various global minima for different regions of the parameter space of the potential. Using CP-odd basis Invariants that indicate the presence of Spontaneous CP Violation we separate the VEVs into those that do or do not violate CP. In cases where CP is preserved we reveal a CP symmetry of the potential that is preserved by those VEVs, otherwise we display a non-zero CP-odd Invariant. Finally we identify interesting cases where there is Spontaneous Geometrical CP Violation in which the VEVs have geometrical phases. I.P. Ivanov, Building and testing models with extended Higgs sectors, Prog. Part. Nucl. Phys. 95 (2017) 160 [arXiv:1702.03776] [INSPIRE]. S. Davidson and H.E. 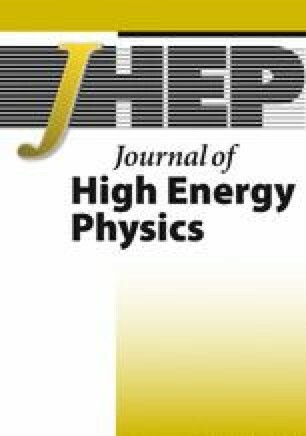 Haber, Basis-independent methods for the two-Higgs-doublet model, Phys. Rev. D 72 (2005) 035004 [Erratum ibid. D 72 (2005) 099902] [hep-ph/0504050] [INSPIRE]. I.P. Ivanov, Minkowski space structure of the Higgs potential in 2HDM. II. Minima, symmetries and topology, Phys. Rev. D 77 (2008) 015017 [arXiv:0710.3490] [INSPIRE]. I.P. Ivanov and C.C. Nishi, Properties of the general NHDM. I. The orbit space, Phys. Rev. D 82 (2010) 015014 [arXiv:1004.1799] [INSPIRE]. I.P. Ivanov, Properties of the general NHDM. II. Higgs potential and its symmetries, JHEP 07 (2010) 020 [arXiv:1004.1802] [INSPIRE]. L. Lavoura and J.P. Silva, Fundamental CP-violating quantities in a SU(2) × U(1) model with many Higgs doublets, Phys. Rev. D 50 (1994) 4619 [hep-ph/9404276] [INSPIRE]. I. de Medeiros Varzielas, S.F. King, C. Luhn and T. Neder, Minima of multi-Higgs potentials with triplets of Δ(3n 2) and Δ(6n 2), arXiv:1704.06322 [INSPIRE]. D. Emmanuel-Costa, O.M. Ogreid, P. Osland and M.N. Rebelo, Spontaneous symmetry breaking in the S 3 -symmetric scalar sector, JHEP 02 (2016) 154 [Erratum ibid. 08 (2016) 169] [arXiv:1601.04654] [INSPIRE]. E. Ma and G. Rajasekaran, Softly broken A 4 symmetry for nearly degenerate neutrino masses, Phys. Rev. D 64 (2001) 113012 [hep-ph/0106291] [INSPIRE]. R. de Adelhart Toorop, F. Bazzocchi, L. Merlo and A. Paris, Constraining Flavour Symmetries At The EW Scale I: The A4 Higgs Potential, JHEP 03 (2011) 035 [Erratum ibid. 01 (2013) 098] [arXiv:1012.1791] [INSPIRE]. E. Ma, Neutrino Mass Matrix from Delta(27) Symmetry, Mod. Phys. Lett. A 21 (2006) 1917 [hep-ph/0607056] [INSPIRE].